Dr Kehinde Andrews will be discussing racism in the school system and the need for a radical Black independent education. The discussion will be based on his new book Resisting Racism: Race, inequality and the Black supplementary school movement. Signed copies will be available at the event for a reduced price of £16. Join us for an evening of poetry and readings, as performers are given a platform to express their own narrative. Performances by BEMA members will be followed with an opportunity for self-defining BME’s to grab the (open) mic. Want to get something of your chest? There’ll also be a soap box session to say whatever’s on your mind. 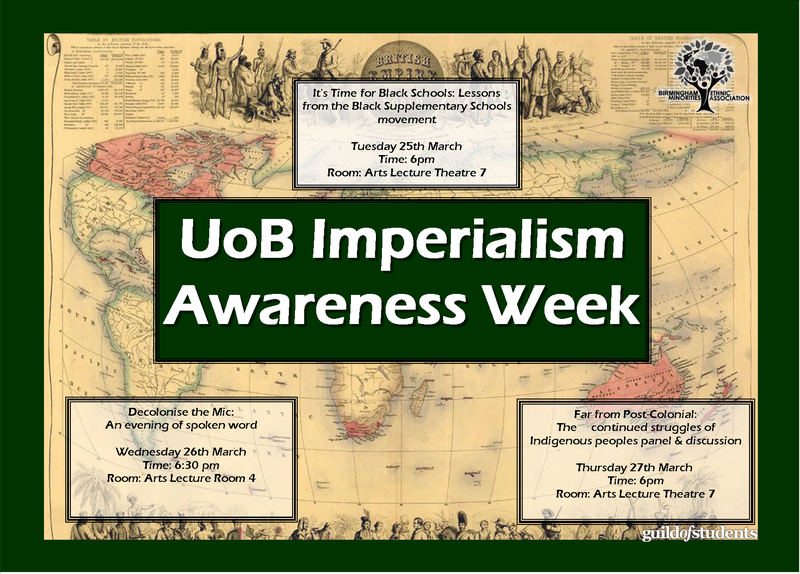 Panel + open discussion on the effects of colonialism today, and the struggles of Indigenous people including the Nican Tlaca people, resisting the oppression and racism that still resonate from the colonial era.